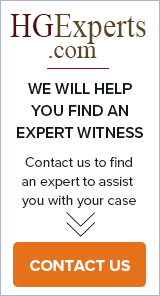 This guide will discuss how you can quickly find a properly qualified expert witness for your case, determining the strengths of different expert witnesses and certain terms to search to find the best expert witness for your case. You will also learn about the role of the expert witness and when you should hire one. The guide discusses important traits to look for in an expert witness and myths associated with the search. Finding the right and most effective expert witness for a case is daunting and time consuming, and this leaves the lawyer often delegating the task to another person. Searching and communicating with various sources may require additional time and energy, but when the task has been efficiently delegated, the lawyer is free to perform other actions for the case. Finding an expert witness often requires assistance such as a database, expert hiring agency or research into the local area to discover if there exists someone with the relevant knowledge of the subject matter that is in the case. 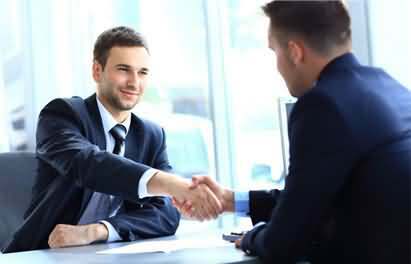 Once the lawyer and legal team find this professional, it is time to interview and then determine if a hire is the next step. For various issues within or about a family, a lawyer may hire a family law expert witness to assist with explaining numerous complications and problems that are related to a case. The hiring of these professionals should be relevant to the incident, and this could lead to hiring a professionals with a different background than would be expected such as a psychologist or medical professional. Hiring the right expert witness for the case is imperative when certain aspects must be explained in a way that the lawyer is unable to do so for the judge or jury. Finding an expert witness that has experience and knowledge in the appropriate subject is often difficult for a lawyer not versed in the field of study. However, there are keyword searches and other methods available that assist these legal professionals to find the right fit so the case may proceed with all necessary individuals. Effective expert witnesses are often difficult to locate and harder to retain depending on the facts and subject matter of a case, and this could provide a much more complicated situation for the legal team. The lawyer or assistant contacting and interviewing experts in the case or claim will need to know what to ask, where to look and when to seek help. Many individuals believe that an expert is behind every door. Each professional may be used as an expert in almost any case. However, cases are varied, and hiring an expert is an extensive process that requires research and time. Ensuring that an expert is right for the claim and may work well with a lawyer demands a lengthy interview, several questions asked and answered and a rapport between the two parties. The numerous processes needed to get through a case take more time than is frequently provided, and any saving time when selecting and hiring an expert witness is a blessing to the lawyer. There are various websites, other professionals and individual consultants that may provide a means to save time when selecting an expert witness, but each could either cut down or increase the time taken.